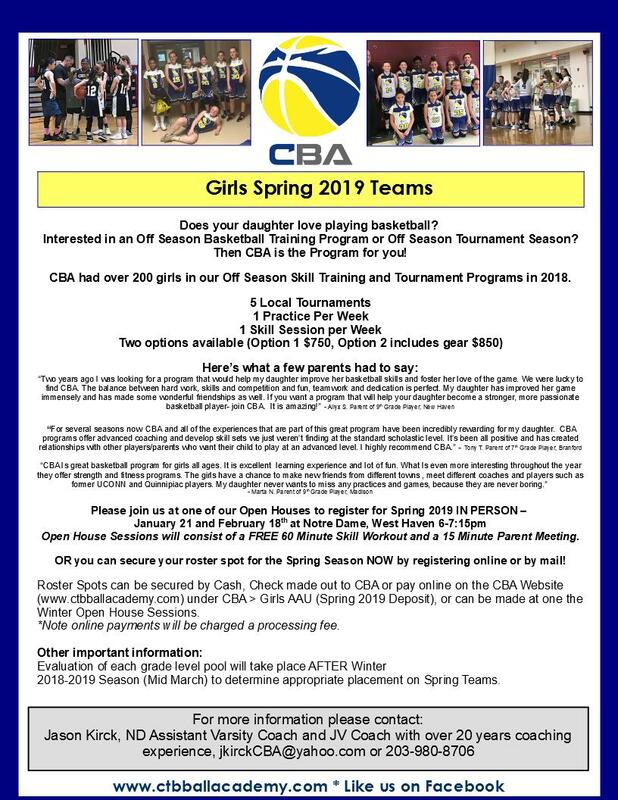 This fee will reserve your daughter's spot on a Spring 2019 Girls CBA team. We are collecting fee to cover uniforms which will be ordered from a different company from last Spring during the winter. The total cost for Spring Girls CBA 2019 is either $750 or $850 (if you select the Gear package for next Spring). Your $150 registration fee will be deducted from that cost in the Spring.